NYC, 04/09/2019, 7:00PM. 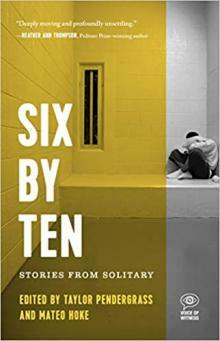 Six by Ten: Stories from Solitary. widespread embrace of solitary confinement. Editors Taylor Pendergrass and Mateo Hoke discuss their new book.